In 2013 the North Carolina Council on Developmental Disabilities (NCCDD) funded the "Medical and Health Homes for People with Intellectual and Other Developmental Disabilities: Coordination, Collaboration and Community" to develop recommendations for the management and delivery of primary health care services and long-term services and supports. In 2016 the NCCDD funded "From Planning to Action: Integrated, Collaborative Care for People with Intellectual and Developmental Disabilities" to evaluate two demonstration pilots designed to improve the capacity of primary and community healthcare providers to care for children and adults with I/DD through consultative access to medical and clinical professionals with I/DD expertise. 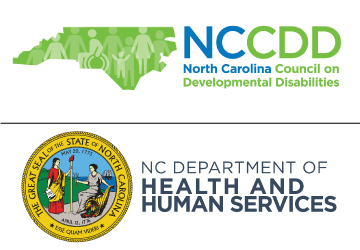 In 2017 the NC Department of Health and Human Services (DHHS) provided funds to enhance the work of the demonstration pilots and inform Medicaid redesign and strategic planning, with an emphasis on children with complex needs. Our 2-year progress report can be found here. 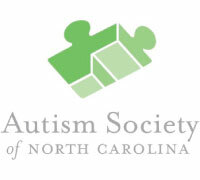 The Autism Society of North Carolina improves the lives of individuals with autism, supports their families, and educates communities. ASNC provides a wide selection of educational material, media and access to events to help families and providers you equip yourself with knowledge to tackle autism. 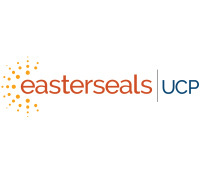 Easter Seals UCP is committed to being a lifelong partner to people with intellectual/developmental disabilities and mental health challenges by working side-by-side with adults and children who are managing disabilities and mental health challenges. "The Medical Health Home Initiative has been instrumental in increasing awareness of the complexities that arise from individuals trying to navigate the healthcare and disability service systems. The project has done a tremendous job of raising awareness of the issues, challenges and opportunities that reform presents." The CAP serves as an advisory group that brings together the strengths, unique skills and perspectives of community members (individuals with a disability, family members, direct support staff, advocates), academic partners (faculty, students, and researchers), health care and disability providers, government officials, and policymakers. In addition to individuals with intellectual and developmental disabilities and family members, the following organizations are members of the Community-Academic-Provider Consortium. The Carolina Institute for Developmental Disabilities is a comprehensive program for services, research, and training relevant to individuals with developmental disabilities and their families. CBC provides support to agencies serving the needs of the Intellectual and Developmental Disabilities ("I/DD") community across the southeastern United States. To improve the health and quality of life of all North Carolinians by building and supporting better community-based health care delivery systems. Disability Rights North Carolina (DRNC) is NC's federally mandated statewide protection and advocacy program committed to promoting and preserving disability rights in the North Carolina. In collaboration with our partners, DHHS provides essential services to improve the health, safety and well-being of all North Carolinians. In advancing health together, we will deliver tomorrow's health care today, accelerate discovery and its translation, create education that is transforming, build healthy communities, and connect with the world to improve health globally. Bridging healthcare & education for students & providers throughout the region. The Family Support Network at Mission Children's Hospital offers an extensive lending library of resources related to raising a child with a wide variety of developmental, physical and medical concerns. First In Families of North Carolina supports people with disabilities and their families to achieve short and long-term goals as active contributors to their communities. Monarch is a premier, North Carolina provider that supports thousands of people with intellectual and developmental disabilities, mental illness and substance use disorders. The North Carolina Academy of Family Physicians (NCAFP) is the Old North state’s largest specialty medical association, with a membership of over 4,000 family physicians, family medicine residents, and medical students. The North Carolina College of Emergency Physicians (NCCEP) is a chartered chapter of the American College of Emergency Physicians. NCCHCA is comprised of membership from each of the 40 health center grantees, aspiring health centers and other partners. These health center grantees and Look-alikes operate over 220 clinical sites and served over 500,000 patients in 2016. 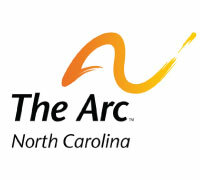 A University-based system of community regional centers that offers a set of core services along with unique demonstration programs meeting the clinical, training, and research needs of individuals with Autism Spectrum Disorder, their families, and professionals across the state of North Carolina.